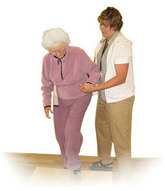 Rehabilitation Associates, LLC is a widely reputed NW leader of Pacific. They specialize in accredited interdisciplinary programs and undertake exclusive service to treat acquired injury of brain and chronic pain. The organization is highly reputed to perform effective treatment procedure for dizziness and balance; low vision; injury from any kind of work etc. Expert personnel of the organization follow exclusive approach to the rehabilitation programs. The organization specializes in interdisciplinary management of pain; speech therapy; vestibular therapy; rehab after brain injury; cognitive behavioral therapy; training on Biofeedback; rehabilitation for low vision problems; services of pain management consultants and even other occupational & physiatry medicine. There are currently 0 consumer reviews about Rehabilitation Associates LLC available. Share your review. Please take a note that you are about to post a public review about Rehabilitation Associates LLC corporate office on CorporateOffice.com. This review will be public, so please do not post any of your personal information on this website. If you would like to contact the corporate offices of Rehabilitation Associates LLC, please use their contact information such as their phone number, website, and address listed above to contact them. However, sometimes staff from Rehabilitation Associates LLC headquarters do read the reviews on this website.